Meet the Network in St. Louis! We are planning a highly interactive workshop to bring together representatives of Teen Science Cafe Network sites January 27-29, 2015 at the St. Louis Science Center, in St. Louis MO. Our purpose is to facilitate face-to-face interactions among Members to share expertise and build personal relationships. We firmly believe this is the most valuable tool for achieving our ultimate goal of creating a vibrant community of practice around the Teen Cafe model. Our blog, webinars, shared resources, newsletters, and collaborative projects and presentations have helped bring us together and keep us together. Yet their value is constrained by the fact that they have largely been virtual. CRITICAL: Complete the workshop survey by October 15, 2014 to be eligible for travel support. Travel funds will cover airfare, ground transportation in St. Louis, a shared hotel room, and meals during the meeting. Sites with their own travel funds are welcome to send additional Members. At the workshop, we expect rich discussion of key issues faced in common by Members, new innovations in how we support new Members, and stimulation of long-lasting interactions across the Network. The most important outcome will be a greatly enhanced sense of community and a stimulus for establishing ongoing, fruitful partnerships among the Members. 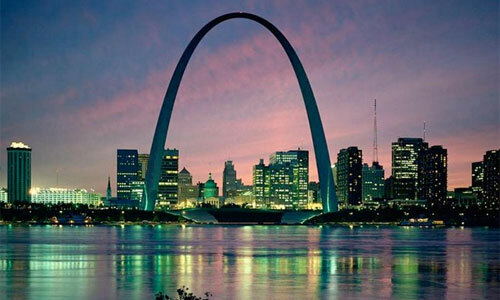 The workshop will be held at the St. Louis Science Center’s Taylor Resource facilities in St. Louis, Missouri, home of the Gateway node starting on the evening of January 27 and ending mid-day on January 29. Representatives of our Founding Member sites will convene a business meeting on the afternoon of January 29, at the close of the workshop. Complete this survey to indicate your primary interests in attending and learning at this workshop. Participants will arrive on Day 1 for an informal evening get-together, possibly in the form of a teen café. The meeting will run all of Day 2, with another social event in the evening. Day 3 will end in the early afternoon for most attendees, allowing folks to get a flight home that evening. We want to invite at least one participant from each site across the network (~30 participants). Act now to indicate your interest in attending by completing our survey. Sites “local” to the meeting may have more attendees, as our budget allows. We will invite select members of our Advisory Board and network evaluation team, and 1-2 local keynote speakers to stimulate thinking differently about our work. The format will emphasize workshops, presentations, and discussions that help us improve our ability to implement teen science cafés. They may include topics on developing teen leaders, incorporating inquiry in cafés, effective collaborations, recruiting and preparing presenters, building ambiance and atmosphere at a café, ramping up social media, program evaluation, or storytelling, among others. Tell us what you are interested in learning about and we will work to make it happen. We will also have time for small group Birds of Feather meetings, bringing together Members with shared interests such as leaders of rural cafés, or cafes serving diverse audiences, or new leaders of cafés. Perhaps most importantly, we will allow for “walk-in-the-woods” time in which participants can self-select to talk with other participants of their choosing in which they can both get to know each other and learn from each other. Social events and ample lunch-time will provide for additional personal interaction. Finally, we will have discussions of some key issues going forward, such as how to provide optimal help to new Members and provide them with a sense of belonging to the community, how to better share particularly exemplary Cafés at one node with the rest of the Network, identify the most fruitful topics of future webinars, and how to facilitate the formation of small teams to focus on in-depth investigations of key issues–in some cases resulting in contributions to the literature. We want each participant to come to the meeting having some mental picture of each other site in the Network. To achieve this, we will request prospective participants to submit a blog post about a memorable moment, challenge or success in developing a teen café program as part of their application. We will post 1-2 weekly prior to the workshop. One month before the workshop, participants will post an entry on the Teen Science Café Network Facebook page that very briefly captures their interest in teen cafés and the essence of their teen café via one revealing little story (with images). We also will ask each participant to tweet a Twitter “vine” (6-second video) using the #teensciencecafe hash tag. We will assemble them into a video montage, and use it to start the meeting. Each of these is designed to build community (Facebook post), initiate rich contributions to the discussion (the blog), and develop some creative advertisements (the vine) that the Members can use again for their program. We will begin this process 2 months prior to the meeting. Interested? Let us know through the survey.